As a follow up to my post on the realtime length of each minute of NBA gametime (thanks to Tom Haberstroh and Kyle Wagner for spreading the word), here is a deeper look into that final minute. 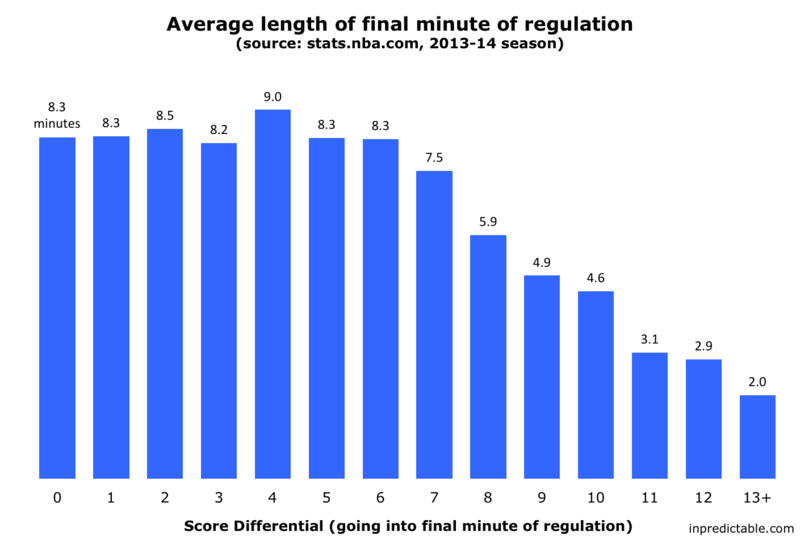 It's a common complaint that the last "minute" of NBA regulation is anything but. Using time stamp data from stats.nba.com, I found that the last 60 seconds lasts about five and a half minutes on average. However, as many have pointed out, there is a lot of variance around that average. Close games, featuring lots of fouls, free throws, and timeouts should take longer than a blowout in its dying throes. The chart below summarizes average length of the final minute by how close the game was going into that minute. So, if the score is within six points with one minute to go, the average length is actually closer to eight and a half minutes. A margin of six appears to be the tipping point, after which game length drops steadily. Once you get past twelve points, the final minute plays at a very brisk pace, only taking two minutes of real time on average. The chart below summarizes how that final minute is distributed. 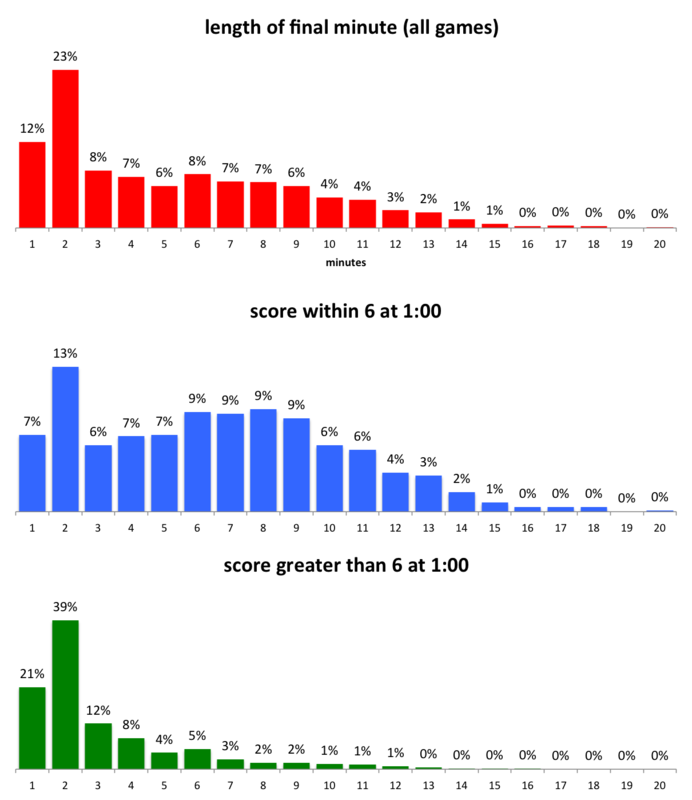 For close games (within 6) there is still plenty of variation around the 8.5 minute average. For blowouts, the distribution is is more tightly clustered around two minutes.